Welcome to the West Puget Sound, the Olympic Peninsula, and Mason County where we enjoy an unsurpassed quality of life. Berkshire Hathaway HomeServices Northwest Real Estate Shelton located Shelton WA, offers a full complement of real estate services, including residential real estate sales in resale and new home construction, real estate investment opportunities, commercial and property management services, with links to lending companies specializing in home mortgages, title companies and escrow services to accommodate our clientele. 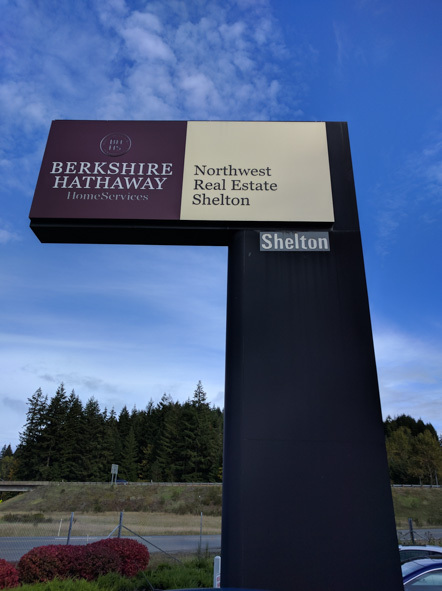 What sets Berkshire Hathaway HomeServices Northwest Real Estate Shelton apart from its competition is its quick and thorough response to customer needs through an extensive listing inventory, a nationwide relocation and referral system, customized marketing, and most importantly, the expertise of our dedicated professional sales associates who concentrate on the Mason County WA real estate market. Investments in training and system to increase sales associates' productivity is the key to the company's success. The Owners, Branch Managers, Sales Managers, Office Managers, Trainers, Associate Brokers, Sales Associates, and Staff sincerely wish you and yours the very best living in Mason County WA.